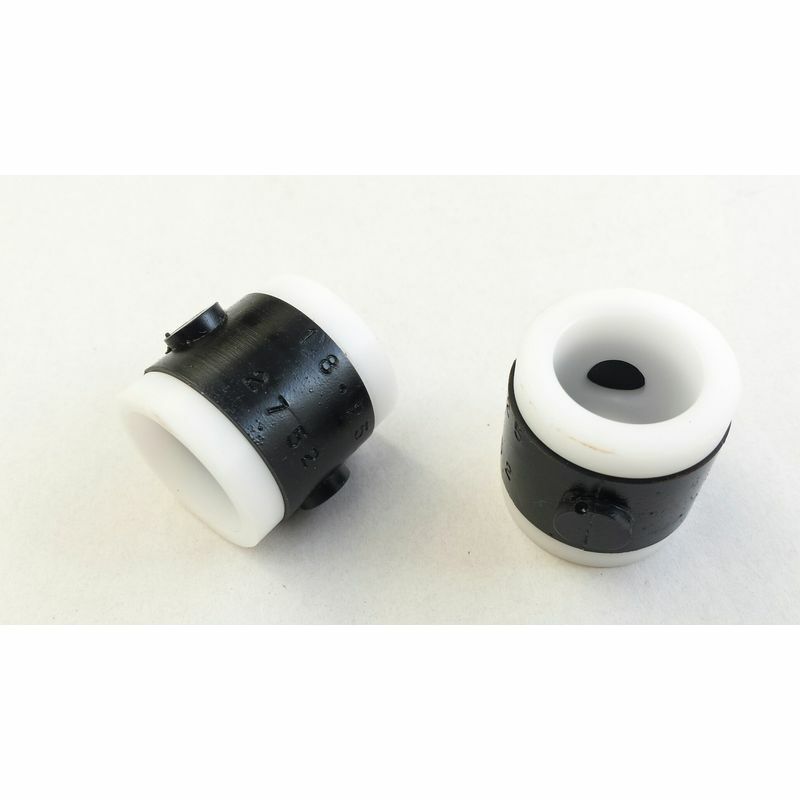 TR2-3B Improved Bush upper column nylon/polyurethane. Price is per bush. The felt bush at the top of TR2-3B steering column is always troublesome. This bush replaces the felt top bush affording much better location and longer life. 2 small holes need to be drilled in the sides of the column to accommodate the location ears. TR2-3B owners will be familiar with the problem at the upper end of steering column, where a piece of felt wrapped around the steering column is expected to locate the inner column, a job which sadly it is not up to, either being too tight when newly fitted, or too loose when (quickly) worn! It rapidly flattens to ensure there is considerable and lasting up and down and side to side movement between the inner and outer steering columns. Fitting the bush too tight to overcome this will ensure the steering is heavy. 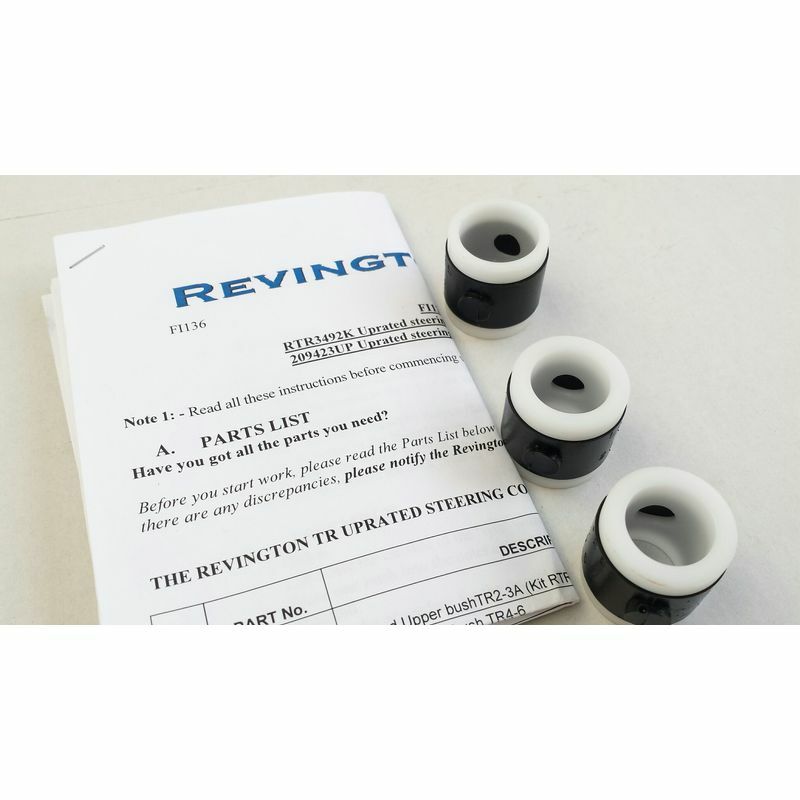 To overcome this, revington TR have designed and produced a version of the 'gimbal' style bearing used at the top of the 'split type' lower column and on all TR4-6. 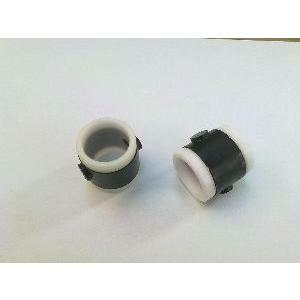 This version however has an inner diameter suitable for the TR2-3B upper position just in front of the steering wheel. 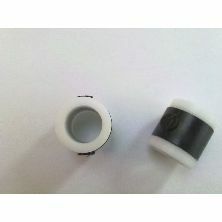 The bush can be supported by the two 'pips' on the outer tyre, in the same way as the TR4-6 or these can be removed and the bush simply pressed in to the outer column with the inner and outer column still in situ in the car.